Native title is the name Australian law gives to the traditional ownership of land and waters that have always belonged to Aboriginal people according to their traditions, laws and customs. The Commonwealth Native Title Act 1993 sets out how native title rights are to be recognised and protected. The department is committed to managing Crown land consistently with the Commonwealth Native Title Act 1993. Native title rights are different to and separate from the statutory right of Aboriginal Land Councils to make claims for land under the NSW Aboriginal Land Rights Act 1983.
states that compensation may be owing to native title holders for certain past and future acts. A new provision in the Crown Land Management Act 2016 is the ability to issue native title certificates. Native title certificates will only be issued in limited circumstances. Native title certificates, if issued, will state that 'there is adequate evidence to show that native title rights and interests in relation to the land have been extinguished or do not exist'. Further information will be available in early 2019. Approximately half of NSW is currently under native title claims. Native title claims are made by application to the Federal Court. Once an application is filed, it must be successfully registered with the National Native Title Tribunal (NNTT). A full list of all the current registered native title claimant applications in NSW is available from the NNTT register of claims. NNTT also provide a series of maps of native title claimant applications. When a claim is registered by the NNTT, the NNTT notifies people who have a registered interest in the claim area, such as a lease over Crown land. Notice of the claim is also published in local and national newspapers. Download the Native title applications and options for interest holders fact sheet for more information. For more information about native title claims, visit NNTT or call 1800 640 501. Native title claims are made through applications to the Federal Court or High Court of Australia. The members of the native title claim group seek a decision from the court that native title exists, so their rights and interests are recognised by the common law of Australia. This is called a native title determination. In 2017, three major native title claims were finalised. On 8 December 2017, the Federal Court made a consent determination that the Gumbaynggirr People have native title rights and interests over an area of land and waters at Wenonah Head, near Urunga, on the mid-north coast of NSW. 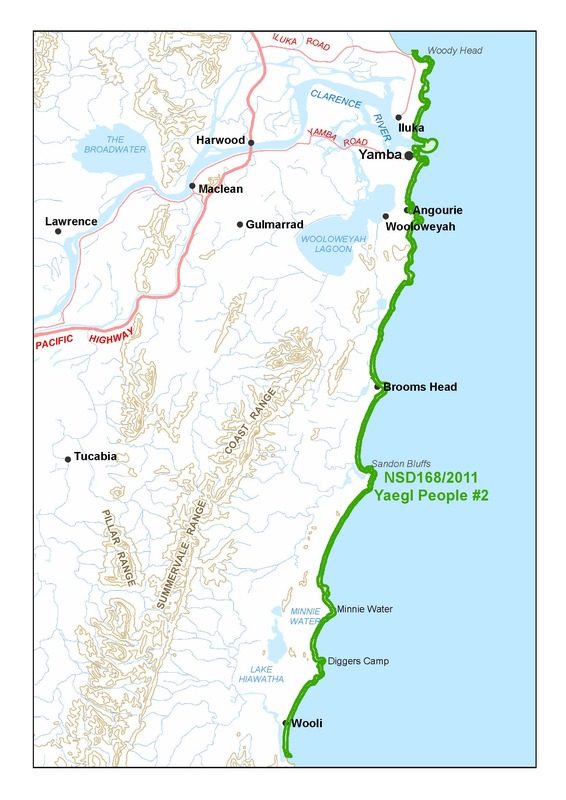 These native title rights are non-exclusive which means they exist alongside the rights of the public to continue to access and enjoy Jagun Nature Reserve, Wenonah Head recreation area, Crown waterways and the beach, and the rights of the government to effectively protect and manage those areas. Download the Gumbaynggirr native title consent determination fact sheet for more information. 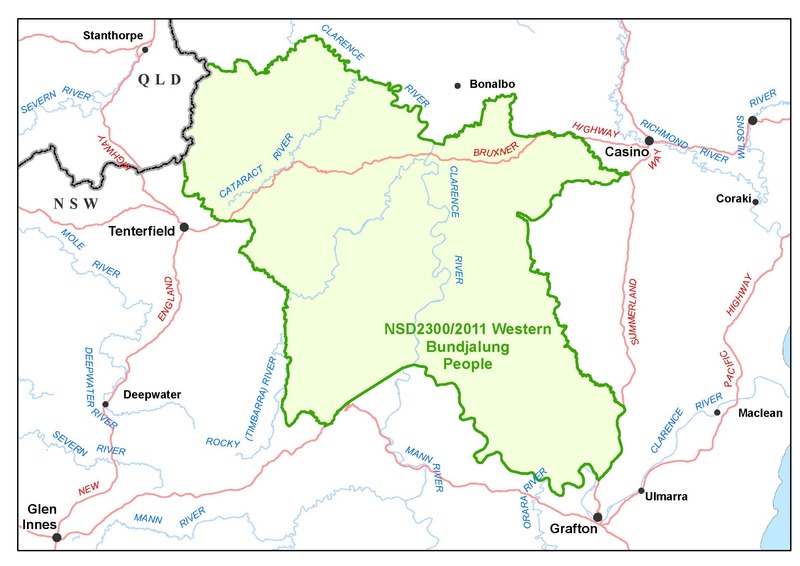 On 29 August 2017, the Federal Court made a consent determination that the Western Bundjalung people have native title rights and interests over areas of land and water between Casino, Tenterfield and Grafton in the far north coast region of NSW. These native title rights are non-exclusive which means that it doesn’t affect existing land users (including those that hold valid Crown land licences and permits) as long as the rights of the native title holders are respected. Download the Western Bundjalung native title consent determination fact sheet for more information. On 31 August 2017, the Federal Court made a consent determination that the Yaegl People have native title rights and interests over waters located between Woody Head, Wooli and Ulmarra on the north coast of NSW. The Yaegl People had their non-exclusive native title rights to land recognised in June 2015. The native title rights over water are non-exclusive which means that members of the public can continue enjoy their recreational activities on and in these waters as long as the rights of the native title holders are respected. Download the Yaegl native title consent determination fact sheet for more information. An Indigenous land use agreements (ILUA) is a voluntary agreement between native title holders and others regarding the use of land of waters. Registered ILUAs are binding on all parties, including all persons holding native title in the area who are not parties to the agreement. ILUAs are useful because they allow a native title groups and other people to reach flexible, pragmatic agreements related to native title. To find out more about ILUAs, visit the NNTT or the current register. The NSW Government is seeking ILUAs with native title holders after their ‘non exclusive’ rights have been recognised by the Federal Court. The NSW Government’s objectives are to negotiate ILUAs that ensure that Crown land can be managed effectively into the future while at the same time respecting the rights of native title holders. Certain Crown land licences and permits have terminated automatically, in accordance with a clause in those licences and permits, following the Bandjalang, Yaegl and Barkandji native title consent determinations made by the Federal Court of Australia. Approximately 500 Crown licences and permits across these three determination areas automatically terminated in accordance with a clause in those licences and permits. The department initially notified affected licence holders in September 2016 and since then has resolved 71% of the affected licences predominantly by reissuing the licences. long term – allow for the appropriate tenures to be granted. Download the Crown land tenures and native title fact sheet and the Indigenous Land Use Agreements and terminated licences fact sheet for more information. Dealings in land or water that affect (impair or extinguish) native title are referred to as ‘future acts’ and these acts must be done in compliance with the Native Title Act. The Native Title Act specifies procedures that must be followed before future acts can be done legally. For example, a grant of freehold title by the department may be a future act. Similarly, the grant of a lease or licence over Crown land may also be a future act. For more information on this issue, download the fact sheet. The Native Title Manager Workbook has been designed to provide guidance and assistance to native title managers in understanding the tasks and responsibilities as part of day to day work as a Crown land manager. Native title managers perform an important legislative function in ensuring compliance with native title obligations. This workbook provides support to Councils and professional Crown land managers to confidently fulfill their stewardship role over the Crown land they manage and avoid any risk of unintended outcomes and liabilities. The workbook also provides information on the significance of native title and why it is important to Aboriginal people and their communities. This will continue to enhance and strengthen relationships with Aboriginal communities that will in turn benefit the economic and social outcomes of Councils and professional Crown land managers. For more information, download the Native title manager workbook.